Forty-five minutes into a flight back to St. Louis, I was about to pee my pants. I’d gone just before takeoff. Emily had been pushing me to see a doctor for months, and refused further discussions of my expanding list of health concerns until then: I was constantly thirsty, hungry, tired, losing weight, unable to adjust to a new set of glasses, and had likely frustrated her with hourly bathroom stops during our road trip to the beach. But I had explanations. We have a baby, so of course I was tired. And it was no wonder I frequented the restroom–my 4000 calorie diet to gain weight had shifted my appetite and increased my thirst. Surely the diet explained my cravings for smoothies, milkshakes, juice, and gallons of water every day. 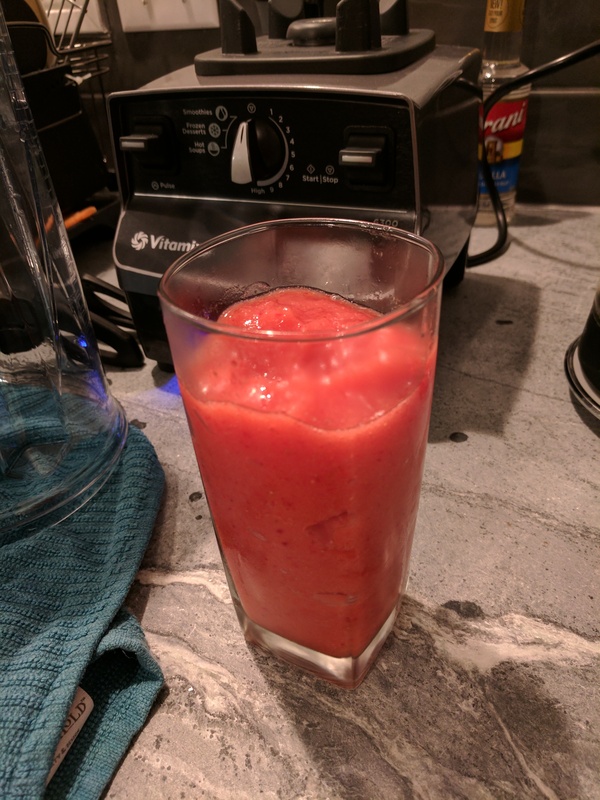 So, I invested in a nice blender. That plane ride was the final straw. On a Friday morning two weeks later, I told my staff I’d be back to the office within a couple hours. A nurse practitioner pricked my finger and the meter read, ‘HIGH’. She left the room and returned with a wheelchair. My doctor apologized in advance for ruining my weekend, then another nurse wheeled me straight to the ER. ‘Are you sure it wasn’t the latte?’ I asked her. My A1C came in at 13.1. Not great. Later that evening, Emily and I Googled “diabetes”. We immediately wondered why the hospital had only checked my blood glucose twice since admission and were perplexed why continuous glucose monitoring was not the standard of hospital care for a newly diagnosed Type 1 diabetic. Extending that idea, I wondered what prevented someone from paring a PID controller with an insulin pump and a CGM, to create a closed loop. The nurses were oblivious to CGMs, let alone the concept of creating a closed loop. Four days later, I was discharged with blood glucose still over 250(!). I was transfixed when I found OpenAPS. 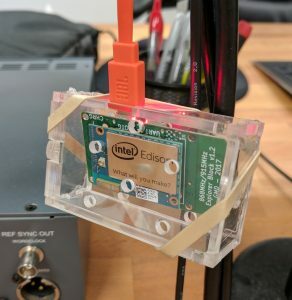 It was a relief to read that not only was a DIY artificial pancreas a reality, but the community was vibrant and full of creative minds and bloggers. I realize my diagnosis is nothing unusual. Disease happens. But I feel incredibly fortunate to live among the first generation to possess the tools to fight disease collaboratively, through opensource code. Passionate makers/hackers have a tendency to turn markets upside down. Dana and Scott (and all contributors) have reached a new level of ingenuity with OpenAPS. By the time the 670G makes it to market, oref1 will be a generation ahead. In a nutshell, OpenAPS is a software & hardware project which constantly adjusts an insulin pump’s basal level according to continuous glucose monitor readings. I’m a T1D newbie on MDI, so first I need to transition to an insulin pump and CGM. 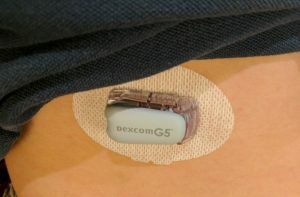 I’ve been wearing a Dexcom G5 for one week, which has already been life changing, thanks to xDrip+ (no more hypos from bad carb estimates–thanks also to @jamorham). I must look OCD constantly glancing at the app to check my sugars. Emily wanted Chinese for dinner tonight. Knowing how poorly that went last time (glucose at 300+ after 4 hours), I increased my bolus and watched the CGM. Oops. xDrip predicted a low within the first hour, which I halted with more carbs, landing at 130 by the 2nd hour mark. Then the rice kicked in, peaking at 250 even as a I stacked three 1u boluses over the next hour. That’s a slight improvement from last time, but the rice still eluded me. Consequently, I’m eager to try out OpenAPS. My rig is ready to run, alas, it will be mid summer before I’m prescribed an insulin pump, and I’ll need to gain familiarity before diving in. Previous PostCredit Card Hacked, Again?